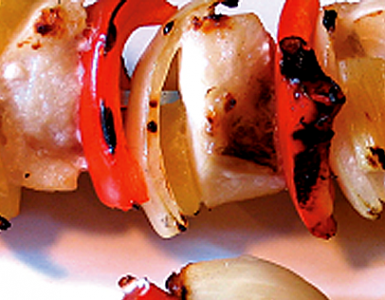 ‘Dads That Cook,’ and Grillax, too! Dads these days don’t just bring home the bacon; they cook it for breakfast. The new show, Dads That Cook, which debuted on PBS on Father’s Day 2014, will be blasting this and other stereotypes about dads out of the water as they showcase 13 dads and their families’ real life struggles, stories and victories, all in the name of cooking. Dads that Cook host Jason Glover. 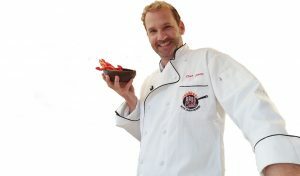 Jason Glover, the show’s host — a cross between the comedic Owen Wilson and the dapper Bradley Cooper — is also a modern dad who loves to cook. The show highlights regular dads who use their self-taught culinary skills to cook incredible meals for their families. In a typical production, Glover introduces you to a dad, meet his fam, and learning how to make his favorite “special” recipe. This is where the good part comes in … viewers get to watch and learn easy-to-make recipes from real dads, things that can easily be done at home in your own kitchen or backyard, without all the fancy extras. This is a specific and relatively untapped market, and director Addison Kavish is excited to be working on a show with so much potential. In the pilot, we meet Ed Hahm, a physician assistant and father of two. He gives the low-down on his best dish, BBQ Lamb Chops. He starts by making chimichurri, a vinegar based sauce with parsley, shallots, garlic, salt, red pepper and olive oil. After seasoning the chops with lemon, olive oil and rosemary, he places them on medium high heat turning once for about 6 minutes. After removing them from the grill, he tops them with his special chimichurri sauce. 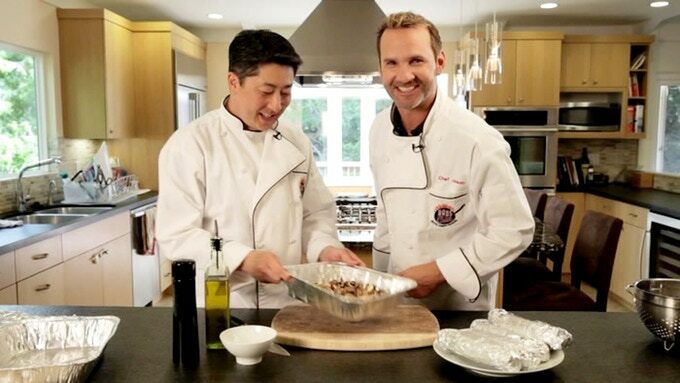 Some other juicy episodes include paella, crispy chicken, poached salmon, stuffed lobster and BBQ tri-tip, to name a few. Hungry yet? 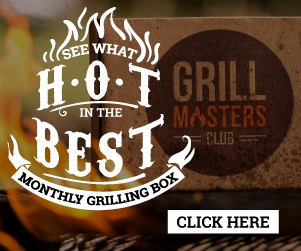 The dads also share their favorite products, sides, grill-cleaning methods and tips to complete the Grillaxin’ experience. To get more information, see full episodes or contact Dads That Cook, tap here. 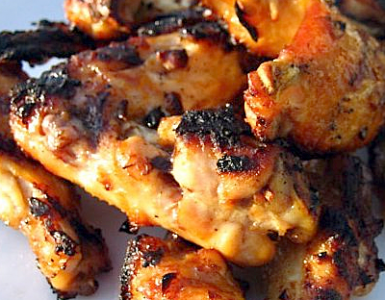 Recipes, part 1: What do Cap Times dads cook for dinner? When grilling on the go, whether a Gameday outing or camp out, it's hard to beat the prep ease and tastiness of a blackened steak and some spicy fixings. 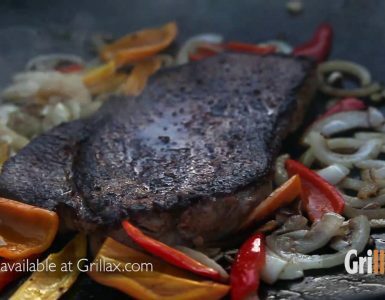 The traditional game of the year is almost upon us, and Grillax has put together a Top 8 Super Bowl recipes on the grill.